WeGotTickets is asking everyone purchasing through them this month to make a donation to The Brain Tumour Charity which is the largest dedicated funder of research into brain tumours globally. As well as providing support for over 25,000 people, the charity has committed £41m to pioneering research and reduced the average childhood diagnosis time from 14.4 weeks to 6.5 weeks. Mad Hatter's Tea Party - Can you Help? 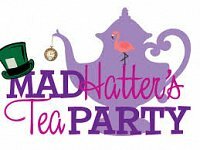 We’re grateful to The Barrel pub in Chapeltown who will be holding a Mad Hatter’s Tea Party to raise money for Disability Sheffield on Sunday May 26th, from noon till 4pm. Please save the date in your diary. We’d love to hear from you if you’re willing to volunteer to support us in organising the event and/or help out on the afternoon with fundraising activities such as hosting fete type games and manning our information stand or just with your ideas for the party! Fancy an evening of rock’n‘roll to help raise money for charities including Disability Sheffield? We are very grateful to again be named as a beneficiary at Taptonfest, a fundraising evening of rock’n‘roll music including a pie and pea supper at Tapton Hall on Saturday November 17, from 6.30-11pm, organised by The Rotary Club Of Sheffield Vulcan. Giving Tuesday was introduced to the UK by The Charities Aid Foundation in 2014 as “an antidote to the mass consumerism of Black Friday”. Powered by social media, Giving Tuesday now takes place in more than 70 countries around the world. It’s an incredible way to kick-start the charitable season!